Risk factors for gestational diabetes: is prevention possible? Gestational diabetes mellitus (GDM), a common pregnancy complication, continues to be a significant public health and clinical problem. It carries significant short-term and long-term adverse health outcomes for both mother and offspring, which reinforces the significance of understanding risk factors, in particular modifiable factors, for GDM and of preventing the condition. Research in the past decade from observational studies has identified a few diet and lifestyle factors that are associated with GDM risk and demonstrated that time frames both before and during pregnancy may be relevant to the development of GDM. Findings from intervention studies on the effect of diet and lifestyle on the prevention of GDM have been largely controversial and inconsistent. Variations in study population, types of intervention, timing and duration of intervention and diagnostic criteria for GDM may all at least partly account for the large heterogeneity in the findings from these intervention studies. This review provides an overview of emerging diet, lifestyle, and other factors that may help to prevent GDM, and the challenges associated with prevention. It also discusses major methodological concerns about the available epidemiological studies on GDM risk factors. Findings from both observational and intervention studies are discussed. This review summarises a presentation given at the ‘Gestational diabetes: what’s up?’ symposium at the 2015 annual meeting of the EASD. It is accompanied by two other reviews on topics from this symposium (by Peter Damm and Colleagues, DOI: 10.1007/s00125-016-3985-5, and by Marja Vääräsmäki, DOI: 10.1007/s00125-016-3976-6) and an overview by the Session Chair, Kerstin Berntorp (DOI: 10.1007/s00125-016-3975-7). Gestational diabetes mellitus (GDM), defined as glucose intolerance with onset or first recognition in pregnancy, is a common complication of pregnancy . Its prevalence varies worldwide, according to the characteristics of the underlying population and the diagnostic criteria being applied. A recent review of data published over the past decade indicated that the highest prevalence was reported in Middle East and North Africa, with a median estimate of 13%, whereas the lowest was in Europe, with a median prevalence of 5.8% . GDM is a growing health concern. It has been related to short- and long-term adverse health outcomes for both women and their children. For women, GDM is associated with an increased risk of preeclampsia during pregnancy, and considerably elevated risks of type 2 diabetes and comorbidities such as cardiovascular diseases after pregnancy . The hyperglycaemic intrauterine environment in GDM pregnancy can affect multiple aspects of the health of the offspring throughout the course of its life. For example, at birth, offspring are more likely to be large, macrosomic and suffer from birth injury . After birth, they are likely to develop childhood obesity, impaired glucose tolerance and vascular disorders. Emerging, yet suggestive data indicate that these children may be at high risk for autism  and a relatively lower IQ . Data in this regard are still limited and findings are inconclusive. Yet, collectively, they highlight the significance of understanding risk factors, in particular modifiable factors, to prevent incident GDM and improve the intrauterine environment, which in turn may lower risk of GDM-related adverse health outcomes in both women and their children. Well-documented risk factors for GDM include advanced maternal age, family history of diabetes, previous GDM, having a macrosomic baby, non-Caucasian race/ethnicity, being overweight or obese and cigarette smoking [5, 6]. We recently observed that not only does women’s own cigarette smoking status matter, but so does their parents’. Parental smoking history was related to an increased risk of GDM among their daughters . Genetic factors were also implicated in the aetiology of GDM; a number of candidate genes were identified. However, genome-wide association studies (GWAS) on genetic factors for GDM are very limited . We are aware of only one published GWAS of GDM to date. This was conducted among Korean women and demonstrated a potentially shared genetic basis between GDM and type 2 diabetes . Emerging data also indicate a possible environmental aetiology for GDM. For example, it was observed that exposure to perfluorooctanoic acid (PFOA), an endocrine disruptor often found in some carpet cleaning liquids, microwave popcorn bags and some cooking ware was positively related to GDM risk . In addition to these risk factors, accumulating data from epidemiological studies indicate that diet and lifestyle factors, both before and during pregnancy, are associated with GDM risk. Conventionally, promoting physical activity among pregnant women was controversial and the heat produced during physical activity was considered to be a fetal teratogen . In the past decade, data from at least seven observational epidemiological studies provided evidence that increased recreational physical activity before and/or during pregnancy were related to a lower GDM risk. In a systematic review and meta-analysis of five studies, including 361 GDM cases , recreational physical activity in early pregnancy was related to a >20% reduction in risk of GDM (pooled OR 0.76, 95% CI 0.70, 0.83). Similarly, in a meta-analysis of seven studies, including 34,929 women , pre-pregnancy physical activity was on average related to a reduction in risk of >50% (pooled OR 0.45, 95% CI 0.28, 0.75). In the Nurses’ Health Study (NHS)-II (Table 1), it was observed that total physical activity, in particular vigorous activity, was significantly and inversely associated with the risk . Among women who did not engage in vigorous activities, a brisk walking pace and stair climbing also were associated with a lower risk . In addition to physical activity, dietary factors both during and before pregnancy are related to GDM risk. Studies of the association between dietary factors and the risk of GDM have just emerged over the last decade. There is evidence suggests that plasma vitamin D and vitamin C concentrations in early pregnancy and dietary fat intake during pregnancy may be implicated in the aetiology of GDM [6, 14]. However, it is worth noting that the number of GDM cases in the majority of these studies is rather low in general and extremely limited among the non-Caucasian population. Inferences from the majority of available studies are further limited by their cross-sectional or retrospective design. To date, no concrete conclusion can be drawn as to the role of dietary factors during pregnancy in the development of GDM . Studies on pre-pregnancy diet and GDM risk have been mainly based on data from NHS-II, which systematically examined the association between habitual diet before pregnancy and GDM risk. Over the years, a number of pre-pregnancy dietary factors have been found to be significantly associated with GDM risk (Table 1). Among these, potentially harmful factors include sugar-sweetened beverages , heme iron intake , fried foods , animal fat  and animal protein , a diet low in carbohydrate but high in animal fat and protein , as well as an overall western dietary pattern as characterised by a high intake of red meat and processed meat, refined grain products, sweets, French fries and pizza . A recent study using the NHS-II data reported that greater potato consumption was related to an increased GDM risk . Potential beneficial factors include a prudent diet, characterised by a high intake of fruit, green leafy vegetables, poultry and fish , a Mediterranean diet , as well as nut  and fibre consumption . Findings from the investigation of joint effects of diet and physical activity, cigarette smoking and BMI indicated that more than 45% of GDM cases might have been prevented if women adopted an overall healthy diet and lifestyle and maintained a healthy body weight before pregnancy . Similar results for the joint effect were observed among both low- and high-risk women. Collectively, the findings from these observational studies demonstrate the important role of lifestyle factors during the pre-pregnancy time frame in the development of this common pregnancy complication. So what is the next step along this line of research? The obvious next step seems to be to translate these association findings from large observational studies into effective interventions for the prevention of GDM. Intervention studies on the prevention of GDM emerged only as recently as 5 years ago. 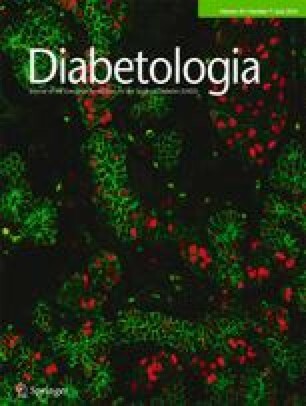 Given the success of the Finnish Diabetes Prevention Study (FDPS)  and the Diabetes Prevention Program (DPP) in preventing or delaying diabetes in non-pregnant women with impaired glucose tolerance, including those with a history of GDM , it seems natural to assume that lifestyle interventions would be effective in preventing GDM. However, findings from the majority of intervention studies on GDM published to date are discouraging; the majority report negative or statistically non-significant findings, although the point estimates indicate certain protective effects. This does not necessarily mean that the interventions were not effective; the negative findings could be most likely due to the following two reasons. First, the majority of available intervention studies were of small sample size, which were underpowered for detecting a statistically significant effect. Second, interventions in most of the studies were implemented late, in the second or third trimester, which might not have allowed sufficient time for the intervention to be effective. The latter was true even for the relatively large-scale intervention studies published recently [28, 29, 30]. What do the intervention studies that demonstrated success in preventing GDM have in common? The few studies that did demonstrate a significant beneficial effect of diet and/or physical activity all started the intervention relatively early, in the first trimester, before or near 13 weeks of gestation [31, 32, 33, 34, 35, 36, 37, 38, 39, 40]. For example, among all the published studies to date on physical activity interventions for GDM prevention [41, 42], the point estimate for the majority of studies indicate a beneficial effect, yet only those with the intervention starting early in the first trimester had statistically significant findings [33, 34, 35, 38]. The same was true for intervention approaches that combined physical activity with diet modification [36, 37, 40], administered diet modification/supplement alone  or pharmacological intervention with metformin . In general, findings from intervention studies for GDM are inconsistent. While the majority have demonstrated a non-significant protective effect, some have reported a non-significant adverse effect in the intervention group [29, 43]. Even findings from meta-analyses have reached different conclusions. For example, a 2012 Cochrane review  and a relatively recent meta-analysis  concluded that a physical activity intervention did not have any significant effect on the risk of developing GDM. More recently, two meta-analyses [41, 42] found that physical activity interventions can effectively prevent GDM, especially when the duration of the intervention is longer throughout pregnancy. The significant protective findings in the latter studies [41, 42] could presumably be attributed to a greater number of pooled studies, as well as the inclusion of recently published large-scale intervention studies in which the intervention was implemented relatively early in pregnancy. Across the individual intervention studies, large variations exist in multiple aspects of the study design, including GDM diagnostic criteria, duration and timing of the intervention, as well as characteristics of the study population, including their race/ethnicity and GDM risk profile. For example, some studies were conducted among a high-risk population, such as overweight or obese women  or on women with polycystic ovary syndrome , whereas other study populations included both obese and non-obese women . The intervention approaches themselves were diverse, ranging from yoga, aerobic exercises or resistance training, to targeting different aspects of the diet. All of these may have contributed to the large heterogeneity in the findings. Interestingly, a few studies found an improvement in glucose tolerance in the intervention group, even if no reduction was seen in the risk of GDM [46, 47, 48]. Taken together, regarding the question whether GDM is preventable or not, the answer remains optimistic. Although not all GDM events can be prevented, lifestyle interventions introduced early in pregnancy or before pregnancy have the potential of preventing GDM development, at least among some women. This is supported by the promising findings from large observational studies on pre-pregnancy diet and lifestyle (Table 1), aforementioned positive findings from studies that started the intervention early in pregnancy [31, 32, 33, 34, 35, 36, 37, 38, 39, 40], and by the successful prevention of type 2 diabetes with diet and lifestyle modification among non-pregnant individuals, for example, in the FDPS  and in the US DPP . Finally, findings from animal and human medical studies have demonstrated the biological plausibility of improving insulin sensitivity and secretion through diet and lifestyle modification. Certainly, more high-quality data among diverse race/ethnicity populations are warranted, especially with intervention approaches that can be easily adapted by women starting early in pregnancy, or, ideally, even before pregnancy. Moreover, additional mechanistic studies that further elucidate the pathogenesis of GDM are warranted for developing more precise and novel prevention strategies. In conclusion, GDM is a rapidly growing health concern. It is related to short- and long-term adverse health outcomes in both women and their children, which highlights the significance of preventing GDM among women who are planning a pregnancy or are pregnant. Improvements in diet and lifestyle before and during pregnancy may hold the hope of interrupting the vicious circle involving maternal GDM, childhood obesity and diabetes, ultimately to stop or delay the onset of diabetes through improving the health and well-being of women and their children across their lifespans. To achieve this goal, large-scale multiple-arm lifestyle intervention studies in which the intervention is initiated before pregnancy among multi-racial/ethnicity populations are needed. Adequately powered pilot studies are essential in order to evaluate their efficiency and efficacy and to design optimal interventions. Ideally, such interventions would also be evaluated in the context of neonatal outcomes and the long-term health outcomes of the offspring, as GDM in pregnancy has effects on both women and their children. Changing behaviour/lifestyle is always challenging. Pregnant women, in particular, may face additional barriers to eating healthily and doing regular physical activity because of pregnancy symptoms such as nausea and fatigue. However, the time around pregnancy or family planning may represent an ideal opportunity to advocate a healthy lifestyle for the family, as women in these specific time windows of their lives are generally better motivated to follow advice to improve pregnancy outcomes and infant health . CZ and SR are supported by the Intramural Research Program of the Eunice Kennedy Shriver National Institute of Child Health & Human Development, National Institutes of Health. CZ and SR declare that there is no duality of interest associated with this manuscript. YSC is part of an academic consortium that has received research funding from Abbott Nutrition, Danone and Nestlé. CZ wrote the first draft of the manuscript. SR contributed to the literature review and revised the manuscript. CZ, SR and YSC contributed to the critical revision of the manuscript for important intellectual content and approved the final version of the manuscript. CZ is the guarantor of this work.